Between 1936 and 1949 Shanghai was the last refuge to 20,000 German and Austrian Jews, who flocked to the only place in the world that didn’t require a visa. 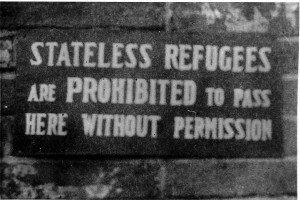 Although ill equipped for their new surroundings, the German and Austrian refugees were remarkably self-reliant. 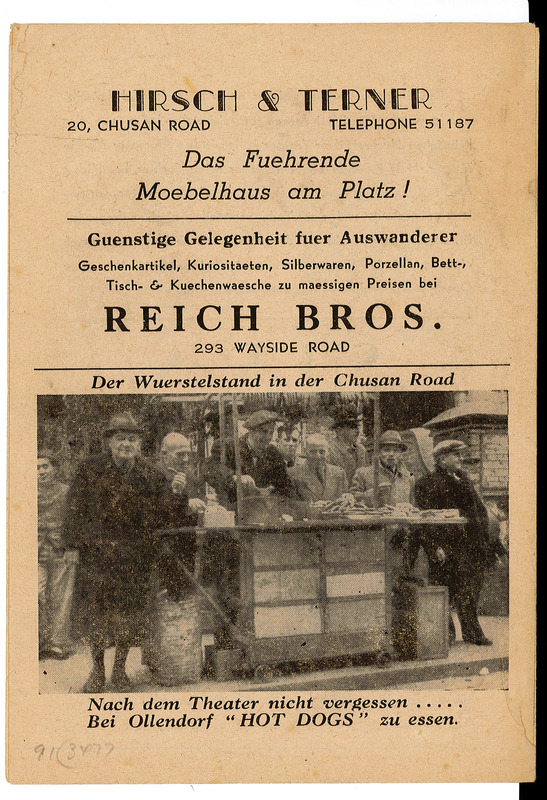 They were able to establish businesses, synagogues, aid programs, an educational system and numerous cultural institutions. 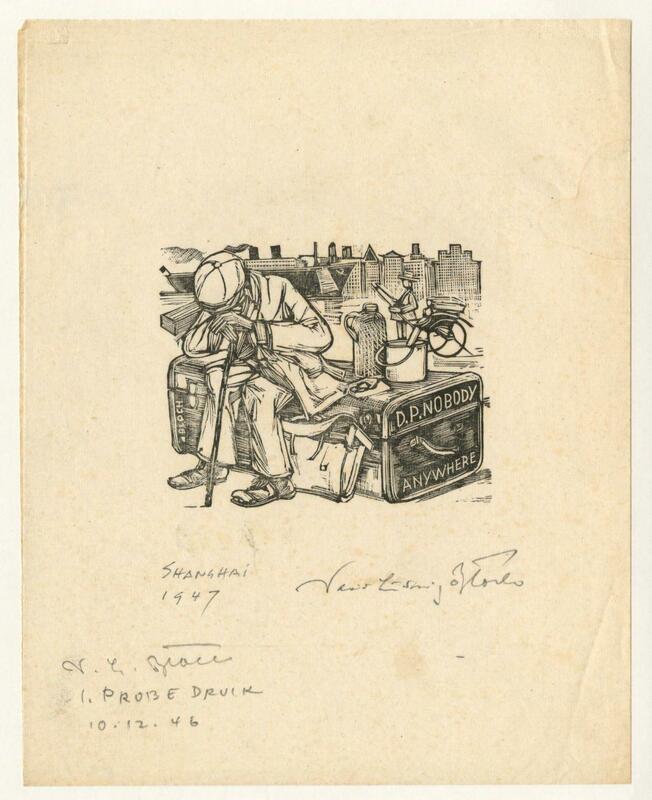 Concerts, theater performances and dance, art exhibitions, fashion shows and literary readings provided distraction from the daily deprivations. This exhibition brings together rare archival documents, photos, artwork, as well as books and periodicals printed in China from the LBI collections that document the Shanghai experience. Many refugees could obtain only expensive first class ship tickets and were able to experience a few carefree weeks before facing the harsh realities of life in Shanghai. 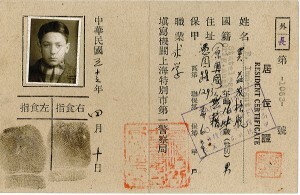 All refugees were obliged to register and receive an identity card, including the many children who came with their parents to Shanghai. 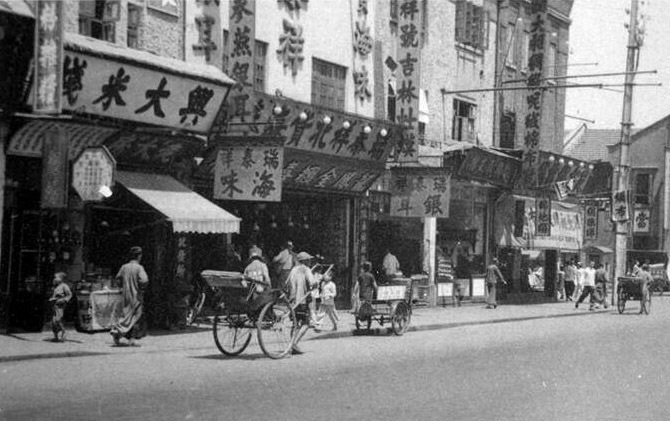 A typical Shanghai street lined with small businesses. 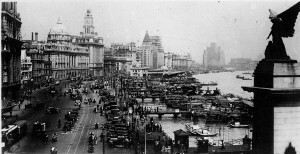 Shanghai’s famous Bund in the central business district was lined with imposing buildings which served as headquarters of foreign banks and insurance companies. 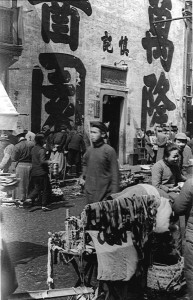 In the early 20th century, Sephardi Jewish families of Iraqi origin, such as the Sasoons, formed a small but important part of the international business presence in Shanghai. 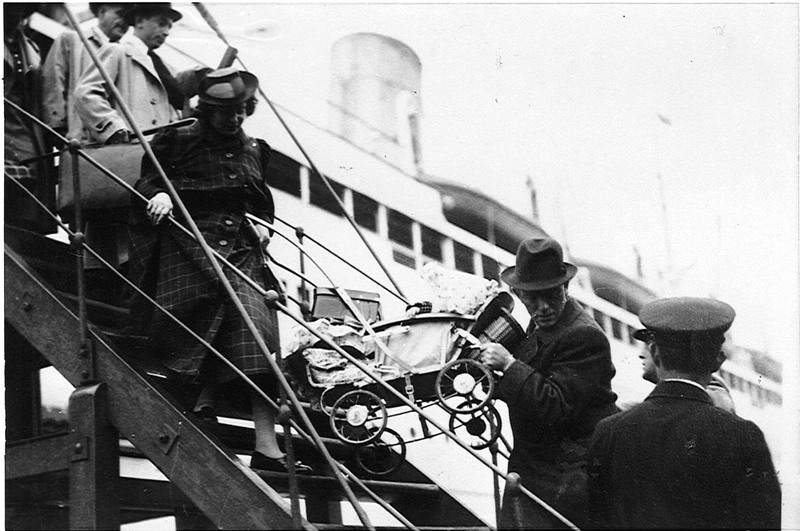 They were British citizens who operated banking and trade businesses and provided vital support to the refugee community. 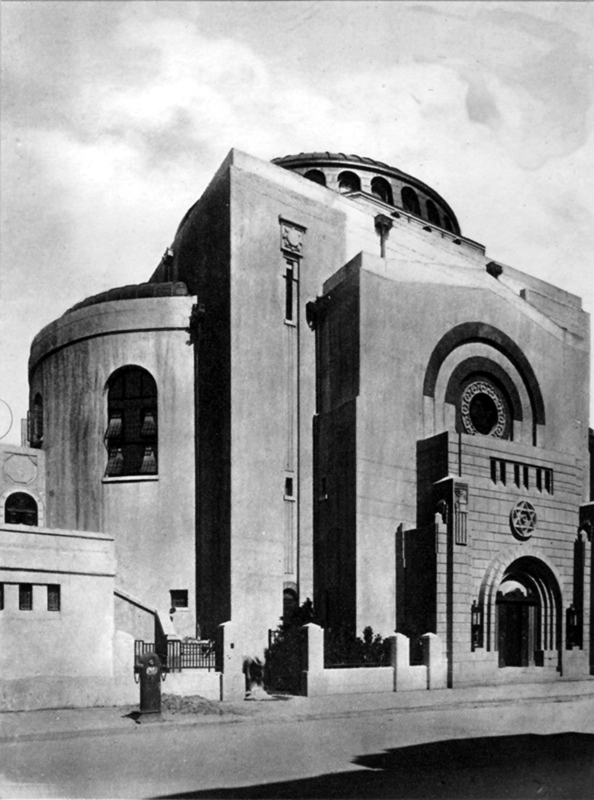 The Beth Aharon synagogue was built in 1927 by Silas Hardoon, an Iraqi Jew and one of Shanghai’s richest citizens. The synagogue became a dormitory to hundreds of refugees during the 1930s and served as a study house for the Polish Mir Yeshiva, who emigrated to Shanghai and resumed their studies at Beth Aharon. 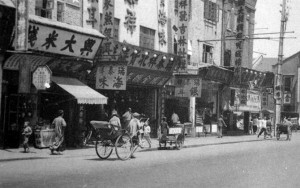 Silas Hardoon was the originator of Shanghai’s lane houses. 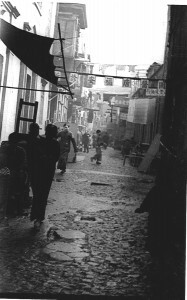 These tract homes were sub-divided into many units and rented to the refugees. 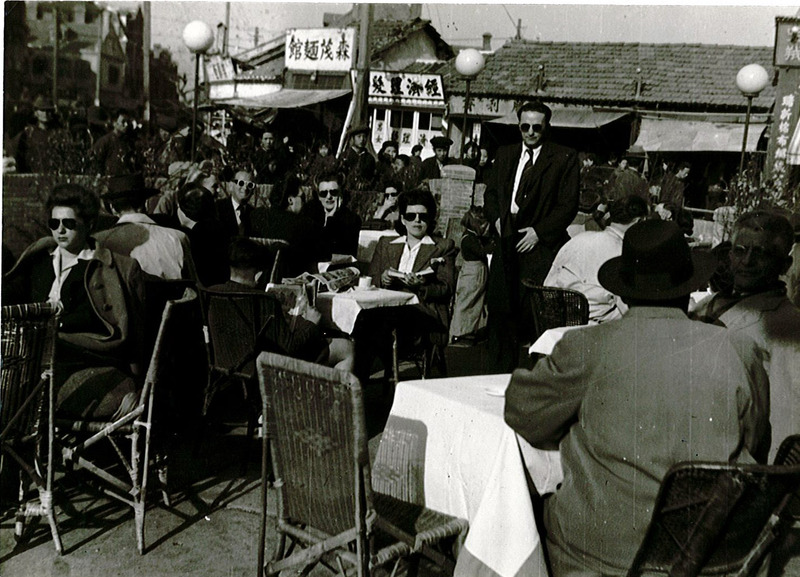 Like many Chinese residents of Shanghai, the Jewish refugees lived in crowded conditions. 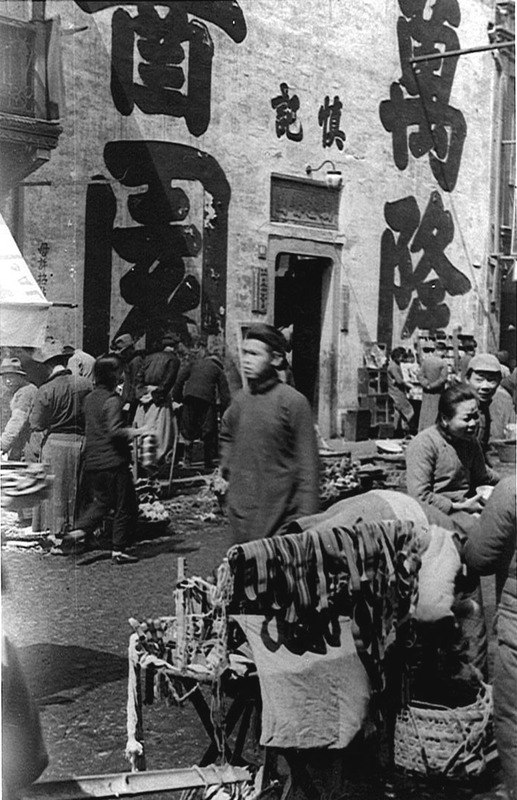 The Chinese solved the overcrowding of their apartments by conducting most aspect of their daily lives on the streets. 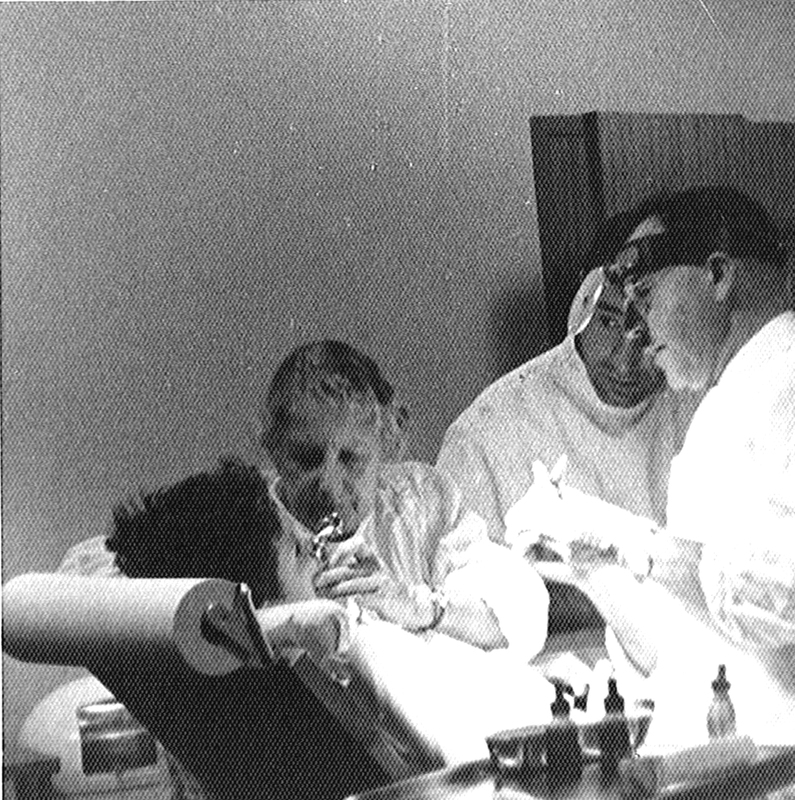 Few of the refugees were able to attain the standard of living or professional success they had once enjoyed. Only about 40 of 200 physicians among the refugees were able to find employment for lack of patients able to pay for their medical care. Café Barcelona was among the numerous restaurants established by Austrian refugees where European-style food was served. 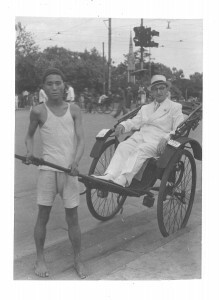 Dr. Fritz Lesser, a German physician, in a rickshaw, which, together with pedicabs were a common form of transportation in Shanghai. 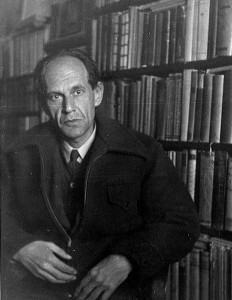 The refugee community also founded many cooperative cultural and educational institutions. 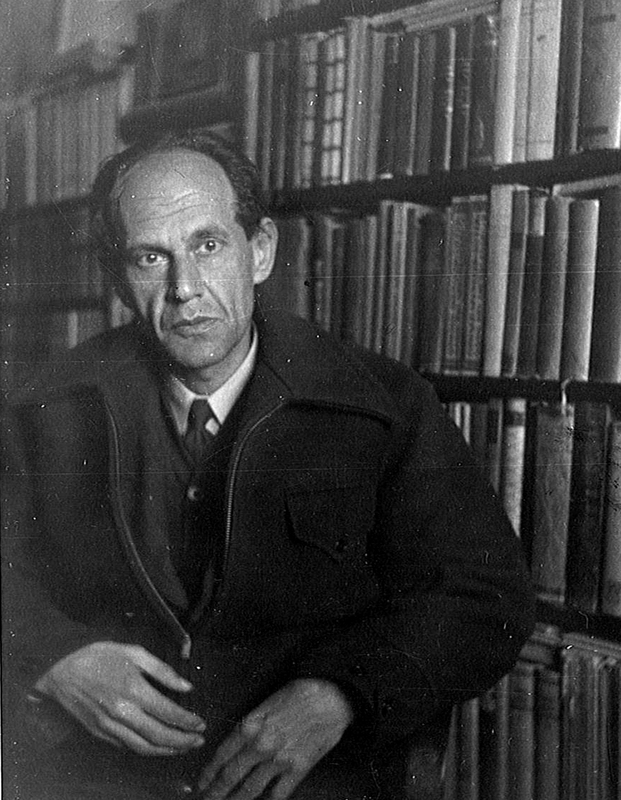 Willy Tonn (1902-1957), a sinologist from Berlin, created a series of adult continuing education programs to prepare the refugees for the difficult tasks ahead of them. 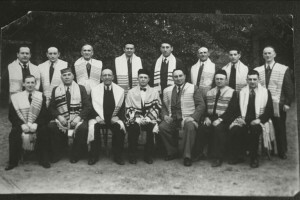 The Hazamir synagogue choir belonged to the German Jewish community that conducted services in the German rite. 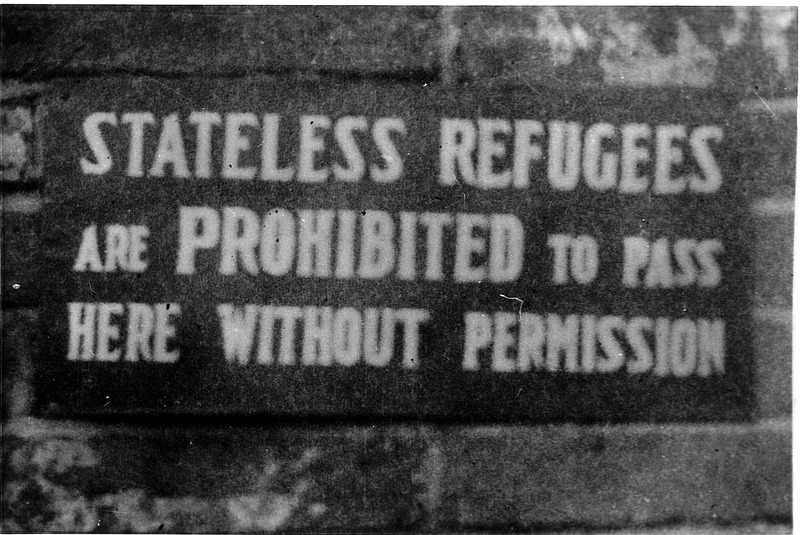 The Japanese attacks on Pearl Harbor on December 8, 1941 severely curtailed vital lifelines of aid to the refugees. 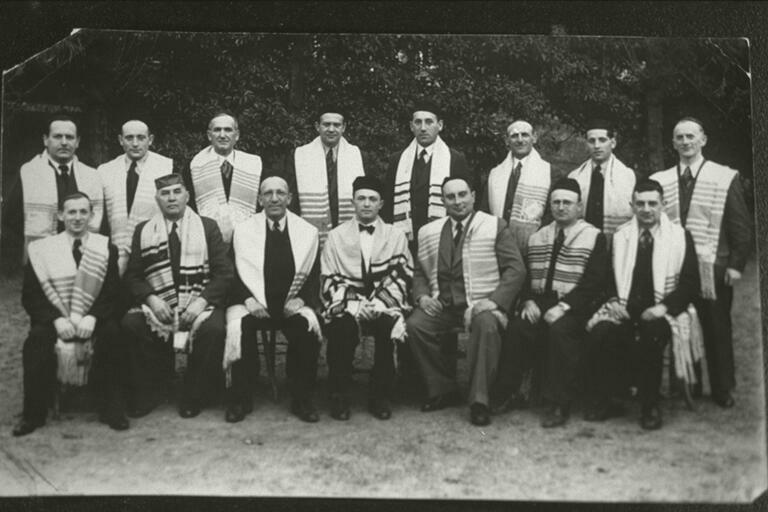 The affluent Sephardi families, many of whom were British citizens, were declared “enemy nationals” and could no longer pursue their philanthropic activities after their bank accounts were frozen. 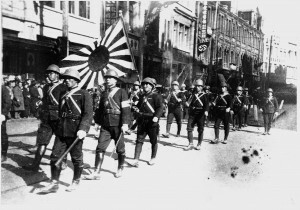 Worse still, the Joint Distribution Committee faced restrictions on sending aid to territory occupied by a hostile enemy of the United States. 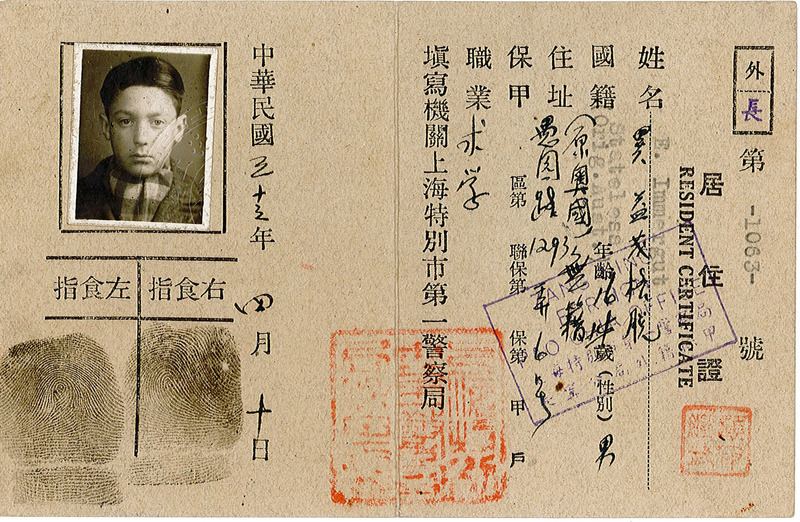 On February 18, 1943, the Japanese military governor of Shanghai declared the Hongkew district a “Restricted Area for Stateless Refugees”. 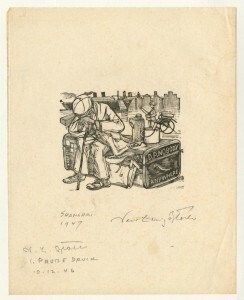 David L. Bloch, an artist from aBavaria who extensively documented the life of the Shanghai refugees portrayed himself seated on steamer trunk with the inscription “Mr. D.P. 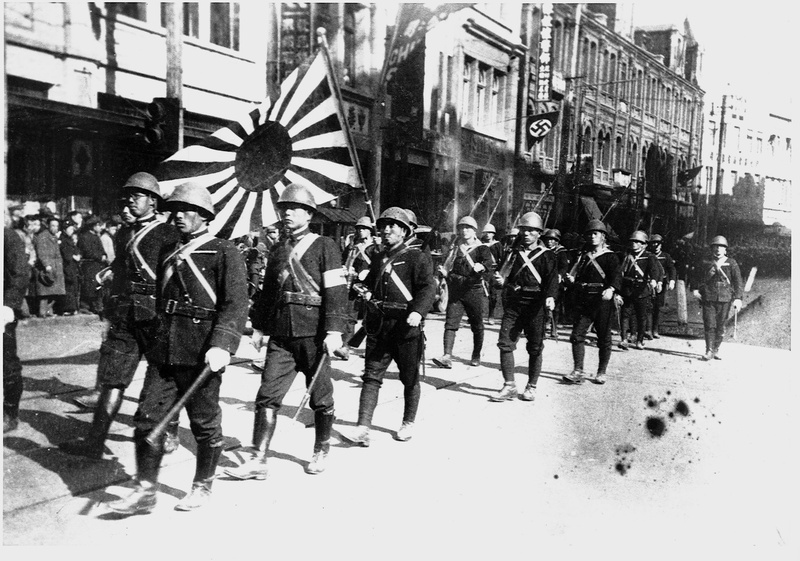 Nobody, Anywhere.” The “designated area” had been liberated on September 3, 1945, by the Chinese army under Chiang Kai-shek. 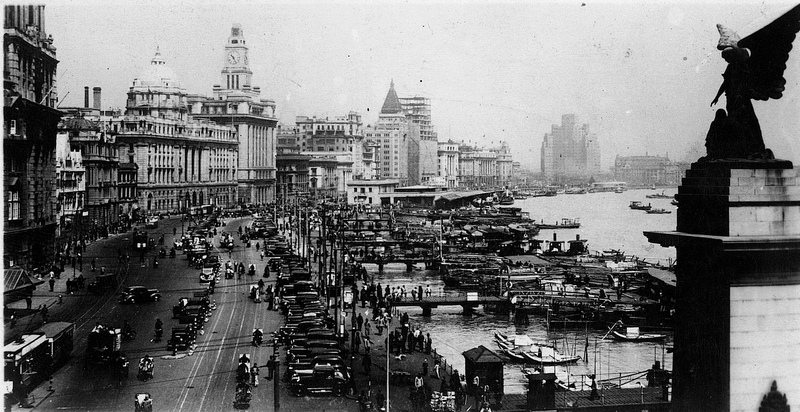 Many refugees nurtured the hope of staying in Shanghai permanently and starting a new life under more benign circumstances, but the advance of the Communists led nearly all the refugees to leave Shanghai by 1949.